Inventure Foods is not a name you’d recognize at Costco while picking up some frozen berries or at Safeway getting some potato chips for game night. But their portfolio contains brands that you’d probably recognize: Boulder Canyon potato chips, Jamba frozen fruits, TGI Friday’s snacks, Burger King snack packs. They are not the most recognizable brands but they certainly command shelf space at big grocery chains and restaurants. The Company (then operating as Poore Brothers) became public in 1996, and began reaching astronomical success gradually starting 2008. Without so much as a blink, the Company weathered the financial crisis in 2008 and started gaining momentum at the start of 2009, continuing its upward trajectory until the end of 2014. What contributed to the Company’s success from 2008 – 2014? And what contributed to the Company’s downturn in 2015 before picking itself back up at the start of 2016? First, what you should know about the Company. Inventure Foods’ portfolio of branded products includes health foods, which they have been pushing to the forefront as the food industry trended toward healthy foods. 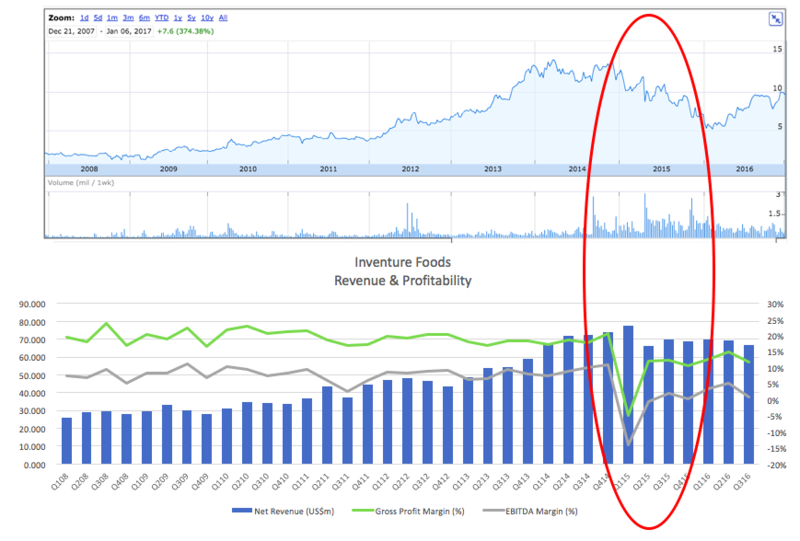 From 2008 to the end of 2014, Inventure Foods’ stock price experienced a ~600% growth (stock chart below). During this period, the Company reported an overall growth in sales (blue bar graph) and stable profitability margins (gross profit indicated by green line; EBITDA margin by grey line). Just as the Company was gaining unstoppable momentum, at the turn of 2015, the market proved that a growth in sales doesn’t mean much if the bottom line is not profitable. In Q1 2015, the Company’s cost of goods sold spiked, hurting both the gross profit margin and eventually the bottom line. As a result, Inventure Foods’ stock dipped even though the Company hit record sales. The stock continued to decline throughout 2015 as the margins never recovered to past levels. 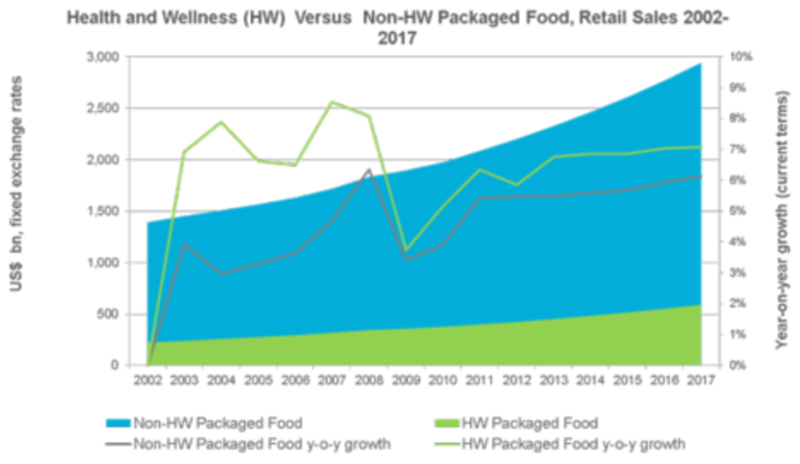 How did Inventure Foods increase sales between 2008 – 2014? Why did the profitability margin fall to negative in Q1 2015? And could they have prevented it? Boulder Canyon Natural snack products grew 27% while snack division sales decreased slightly. However, snack division was priced higher which improved profitability. Focus on operational execution – plant cost per pound produced was down. Focus also on paying down debt. Jan 18: Voluntary recall of Radar Farms smoothie blends due to possible health risk caused by a potential contamination of “Listeria monocytogenes, an organism which can cause serious and sometimes fatal infections in young children, frail or elderly people, and others with weakened immune systems. These recalled blends themselves did not test positive for Listeria monocytogenes. However, Listeria monocytogenes was detected on spinach and/or kale ingredients on another lot which is currently placed on hold. These spinach and kale ingredients used to manufacture the recalled blends were supplied by the same outside party. April 23: Their popular Jamba smoothie frozen vegetable and smoothie kits also had the possible health risk from the same bacteria and hence issued a voluntary recall. Unfortunately, the health risk was out of their control and could not be mitigated unless they tested every single batch for bacteria, an impossible task. As I dug deeper into Inventure Foods, a pattern of success factors emerged. They leveraged brands that were popular and introduced aa variety of new flavors and ingredients. One reason they were able to continually introduce new products though was because they had a far reaching retail distribution network, so it wasn’t a problem getting their new products in front of customers. They licensed with famous brands and introduced a new line of products. 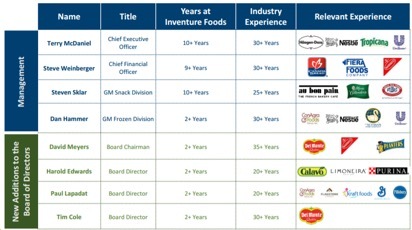 So far, similarities between Inventure Foods’ success and Crown Crafts’ (kids’ bedding company in my last post) success are striking. The 2 notable similarities are (1) in their respective industries, they both licensed with brands that were popular in their industry at the time; and (2) they constantly used feedback loop to update their portfolio of products. They discontinued products or divisions that were no longer forecasted to have potential growth and they designed, innovated and introduced new products that they found out to have potential in by assessing which existing products were contributing to their growth.